The whole process as viewed by the participants is available HERE. 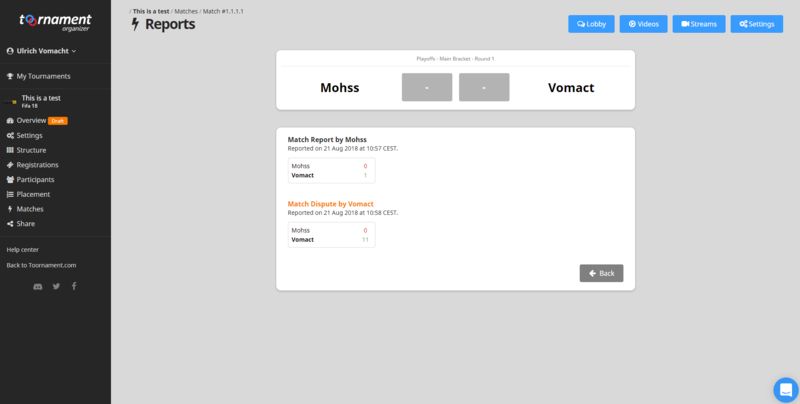 One of the unique features we implemented is how a match dispute is handled. It happens from time to time that a participant made an error entering the result, score, or match detail. Let's go in the other participant's Dashboard. 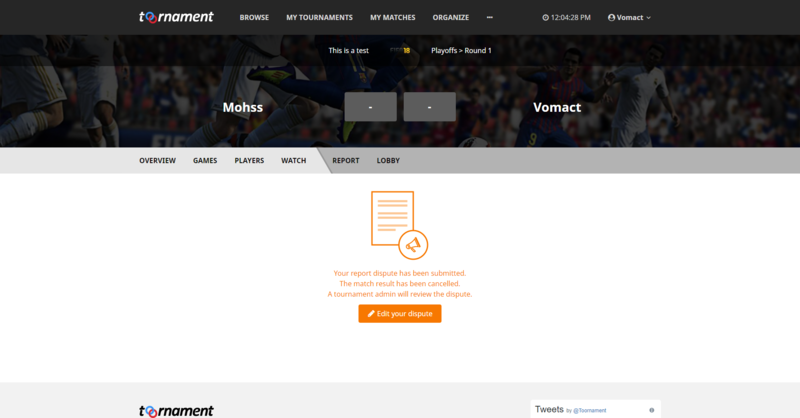 They can check their matches and see the ones already reported. If they don't agree with the report, they can then dispute this Match Report. On their dashboard, other Participants can check the initial report and Dispute it if they spot an error, or don’t agree with the result. They can enter their own report and submit a Dispute. The match will then be unvalidated until a decision is taken by an admin. Back to the Admin dashboard. If a Dispute over one match occurs, the admin can then handle it. 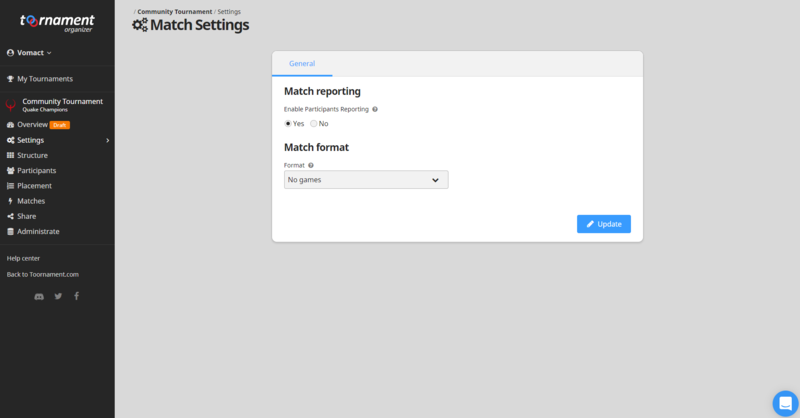 The organizer will spot a Dispute Notification on their Match Dashboard. They can review both reports and then, either close the dispute or enter their own report, which will act as the definitive one. Participants can’t dispute the admin decision over a dispute, but it can still be edited later on.